Here's another tasty dish to add to your list of meat-free Monday recipes. 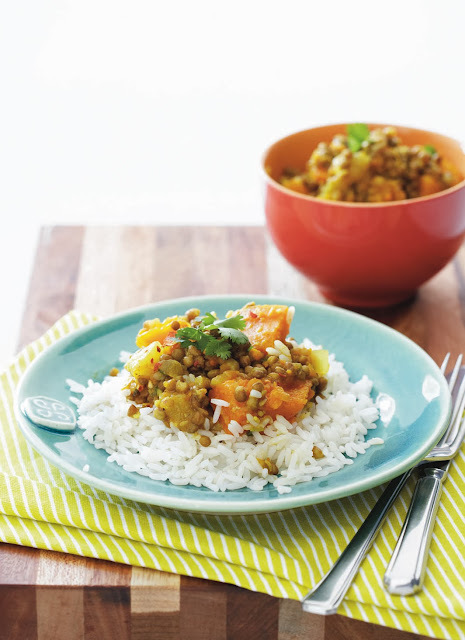 You can also make this curry on a Sunday afternoon so that it's ready to be heated up when you get home on Monday evening. 1. Heat oil in a saucepan. Sauté onion and then add the garlic and curry powder. 2. Stir in the stock slowly. 3. Add the pumpkin and bring to a boil. 4. Reduce the heat and simmer for 20 minutes until tender. 5. Add the lentils and simmer for five minutes. 6. Season to taste and serve with rotis or rice.